That’s why you need to find a Roofing and Home Improvements Contractor who knows roofs. Owner Dave Rutter has been in the ROOFING INDUSTRY for 37 years and our hand-picked team members are some of the best craftsmen in Pennsylvania. Our team trains on an ongoing basis to ensure that their roofing skills are tiptop. Roofing isn’t about slapping shingles on the top of your house; it’s about protecting your home, your family, and your most valuable investment for decades to come. That perspective makes all the difference when considering whom to trust with your roofing needs. Hi Dave, thanks so much for taking care of the issues at 375 Wheatfield today. Below you’ll find my email to the 100+ agents in my office. I’ve received several thank you’s from our agents for sending this email. I tried to keep the message as short as possible while still providing the value that you demonstrated today (agents have very short attention spans due to the number of messages that we receive – you wouldn’t believe the number of emails we get from an amazingly varied number of vendors/contractors). I hope you get some business from my office. Is there anything else that I can do to get your name out there? A final thought: you made a very stressful situation go away by being available on short notice, explaining the issue to the seller, providing a reasonable price, doing extra work that wasn’t part of the estimate, and most important, explaining the issues to a very hesitant buyer. Most good contractors don’t have the ability to explain things to either buyer or seller, especially when the stress level was as high as it was today. Bottom line, the transaction would not have closed today without your help. 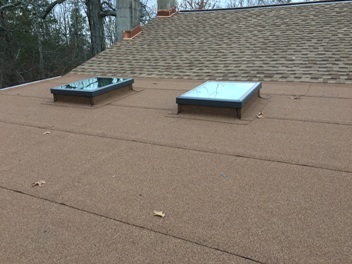 Thanks, Joe H.
“When I discovered that I had leak in my roof, I called a contractor who tried unsuccessfully to repair it & advised me that I needed to replace the entire roof. A friend suggested that I call Dave Rutter, the owner of XL Home Improvements, for his opinion & to give me an estimate. Several days of heavy rain was predicted at the time. Dave responded to my call immediately. He diagnosed the problem with confidence, assured me that I had several more years before I needed to replace my roof & came the next morning to do the necessary repair. His work was excellent; no more leak & you cannot notice that the roof was repaired”. “I learned about XL Home Improvements from a friend. We received timely professional service from XLHI! We had a squirrel get into our crawl space over our bedroom through an exhaust fan. Once we caught the squirrel put him outside Dave Rutter secured the opening temporarily. He then returned with a custom cage and closure to secure the closing on the outside to keep this from happening again! Additionally he replaced and repaired the broken parts of our exhaust fan. I will use and highly recommend XLHI to my family and friends. I have been relying on the Rutter family for many of my home improvement needs since I moved here and bought my very first house back in 1999. Because I am a single Mom, it was very important to me that I find a contractor that I could trust, and Dave is as honest and hardworking as the day is long! His expertise, and workmanship have always been unsurpassed, and his prices always fair and reasonable! Please let them quote your job, whatever it may be, you will not be disappointed! In fact, he just showed up at my house, on a Sunday, mind you, to remedy a persistent leak that I was plagued with, and while he was here, he fixed the hinge on my front door, just because he’s a nice guy! The roof looks great and they cleaned the area up well also. Thanks for your prompt attention to my leaking roof and the exceptional service from both you and your crew. My neighbors were impressed and I recommended XL to them. I have many other projects to tackle in the next couple of years and will certainly look to work with you again. Dave was so willing to work with me regarding all of the necessary work and within the time frame I needed. I also hired Dave for other roofing work. It was because of his willingness to listen to my concerns/needs at that time (and also work value) that I would highly recommend him for all of the home/roofing repairs you may need/have. Also XL office mgr Tolli was wonderful to work with as well. They were very thorough and professional, and did a great job! 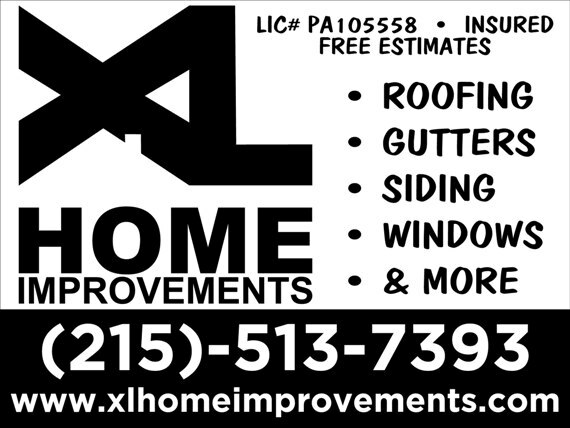 I cannot express enough how XL Home Improvements made my experience almost seamless! They wrapped my house like a package to make sure none of my foundation plantings would be hurt while they ripped off the old roof. The roof was finished in a day! Extremely professional, efficient workers. Ownership was very attentive overseeing the team and ensuring absolute perfection in the project. Pricing is very comparable! MORE TESTIMONIALS KEEP SCROLLING DOWN!!!! When we discovered that our roof was leaking at 9:30 on a Saturday night, we panicked because we are new homeowners and had never had anything like that happen. We called several companies who were listed online with ’24/7′ emergency services but XL was the only one that actually answered the phone. Dave himself was at our house first thing the next morning to evaluate the problem. He was straightforward and just plain nice. The very next day he came back with all necessary materials to fix the problem and communicated with us through the entire process, so that we were aware of changes he had to make to the original quote because he found more damage than was originally apparent. Overall, our experience with Dave and XL has been great. We are so happy to have ‘a guy’ that we know we can call and depend on. This company is highly recommended. I have to say…, I was impressed with the prompt to service, although my home improvement job was small, it was a priority to this company. Even though the work was completed by another prior company, the integrity of XL home improvement was duly noted. I will not hesitate to call them with future improvement on my home. Thank you Dave for your professional advise and honesty in your craft. I have known Mr. Rutter for 20+ years and have found him to be both professional and honest with his proposals and service. He has always been just a phone call away, answering any question, putting my mind at ease. XL Home Improvements has always completed my jobs within budget and on time, with no surprises. My latest dilemma was ice storm damage causing a tree to come down on both my house and garage. I immediately phoned my contractor who took control of the situation and assessed the damage the next day and was my go-between with the insurance company. Mr. Rutter met with the field adjuster and spoke by phone several times until the job was complete and I was a happy home-owner again. I am a widow who works 12-hour days so Mr. Rutter saved me a lot of time and worry. Thank you so much XL Home Improvements for another job-well-done. Many Thanks to the XL Home Improvements team! Because of the way the old gutters were mounted and the uneven house construction, Dave had to innovate and customize the installation. The new gutters and soffits make my 66 year old house look great. Service was impeccable. Pricing was fair and reasonable. Dave Rutter does whatever it takes to get the job done well. I definitely recommend this company to my friends. Our most sincere “Thank You” to the entire XL Home Improvement Team! We were grateful to find the XL ad in our local Courier News Weekly paper AND have such a quick response to our leaks and damage in our home. Dave and the ‘outside’ team braved the severe weather elements, climbing on a snow covered roof to quickly find the root of the problem. The need to replace shingles, windows, siding went above and beyond our expectations including driving to Lancaster to find siding to match our original. Kevin and the ‘inside’ team performed a total beautiful transformation of our master bedroom, (after water damage) windowsills, walls, crown molding and prep for new carpeting. Family room damage was repaired first by the out door team then by indoor team. THANK YOU to an extremely professional and caring team of contractors!! Would highly recommend!! Dave just completed a new roof, soffits and gutters . He and his team are professionals who are very experienced and concerned about every detail. I researched four major roofing companies before I decided to go with XL Home Improvements. Dave patiently answered all our questions and was on the job every day with his crew. It is easy to give Dave our strongest possible recommendation and you will be pleased as we were! We are so glad that we called Dave to do a complete rip and replace our roof. He has the professionalism and many years of experience we were looking for and has fair pricing and what he quotes is what you pay. Not some big company where you’re just the number on the invoice. He did a fantastic job! We also needed some small repair projects with capping etc. that he did so no job too small. I already recommend him to friends and wouldn’t consider anyone else. Thank you Dave for a great job!